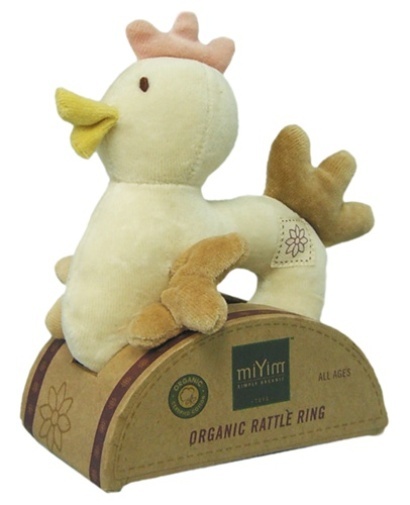 – Keep your little ones happy and healthier with eco-friendly toys! As she puts that plastic toy in her mouth, have you ever asked yourself whether it’s healthy for her? Chances are it’s not. 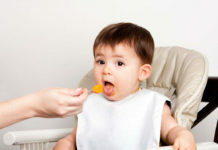 Today’s toys are laced with chemicals that are unsafe for babies and adults alike. 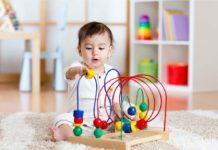 Find out how to choose fun, eco-friendly toys for babies and how they’re healthier for your little one today. One of the things you should try to avoid are toys made from toxic plastics. Most plastics are labeled with a resin identification number developed by the Society of the Plastics Industry, Inc. and can usually be found on the bottom side of a toy inside a triangle of three chasing arrows. Those plastics which are safe include #1 (PET plastic), #2 (HDPE plastic), #4 (LDPE plastic), #5 (PP plastic), and #6 (polystyrene). You should try to avoid those toys made from #3, which is polyvinyl (PVC) plastic. 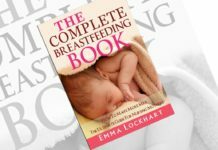 These contain phthalates, which are added to make plastics soft, but which have been linked to liver, lung, and reproductive system damage. 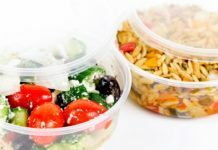 Also avoid #7 plastics made from other plastic combinations which contain Bisphenol A (BPA)—another chemical that has been connected with hormone disruption, early onset of puberty, and obesity. 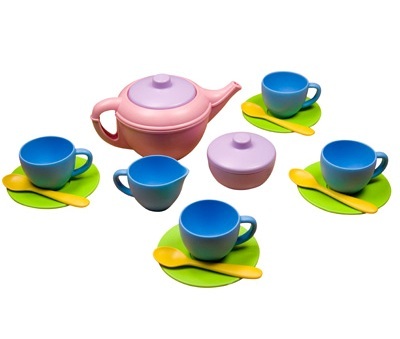 This charming Green Toys Tea Set (shown here) is made from 100% curbside recycled plastic (HDPE), making it super eco-friendly and safe for your children. 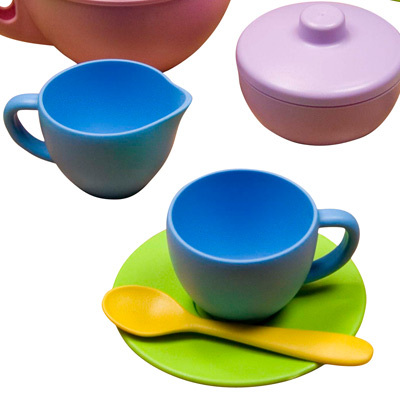 They’re made in the US to comply with FDA regulations for food contact, are BPA-free, and come in recycled packaging. Getting your children to play outside, where they can breathe in fresh air and burn off some energy is an eco-friendly way to stimulate and exercise your children. Unfortunately, many outdoor play systems are made either from unsustainably-harvested woods or plastics full of toxic chemicals and finishes. 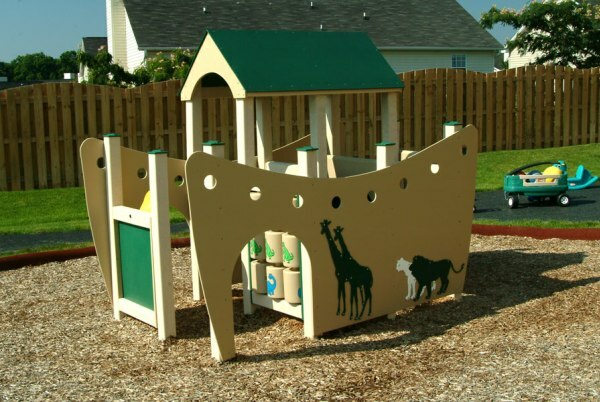 The Play Mart systems, on the other hand, are made from eco-friendly materials. Specifically, they’re constructed of recycled plastic lumber made from recycled milk jugs and the like. They’re very sturdy and come with a 100-year warranty! And the company even offers a Take Back Program so that you can recycle your whole play set so that it doesn’t end up in the landfill. 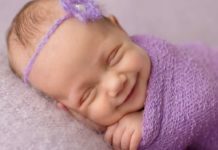 Wooden baby toys are more natural and tactile than those made from plastic. But trees are a precious resource and should not be wasted. We depend on our forests for our very survival since they provide for us clean air, water retention, soil preservation, wildlife habitat, and more. 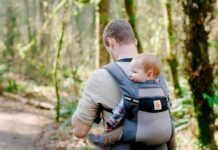 So choosing toys for your children that are made from sustainably-harvested wood is a great option. Wood can be used to make all sorts of toys, including building blocks, yo-yos, and miniature kitchens. 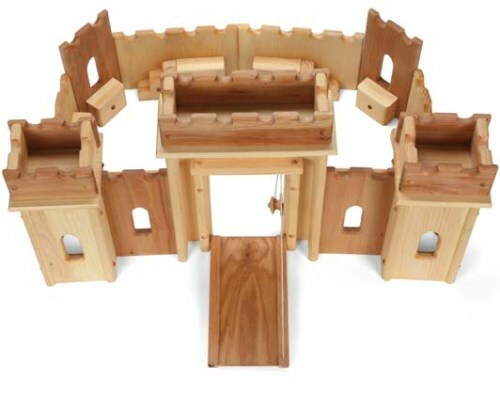 This Elves and Angels Fortress Wooden Castle is a child toy handmade from Maine-grown, sustainable wood and is formaldehyde-free and finished with natural linseed oil. 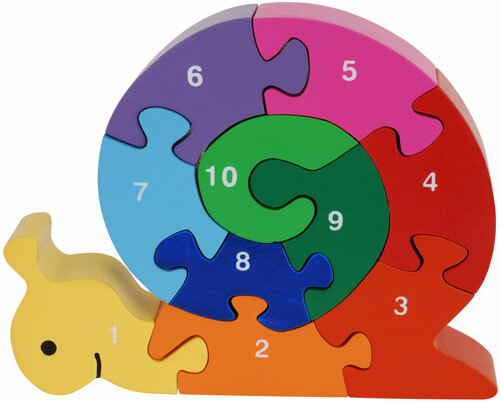 Get your children learn about colors, numbers, and construction with this Number Snail toy! It’s made from natural wood by EarthSmart Toys and is finished with child-safe varnishes, chemical-free rubberwood, and meets US and European environmental standards. 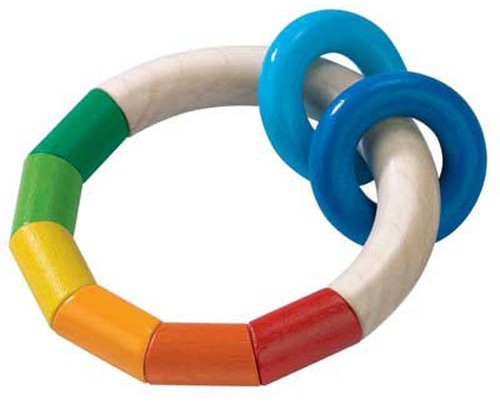 Wooden eco-friendly toys are also available for little ones, such as this teether. 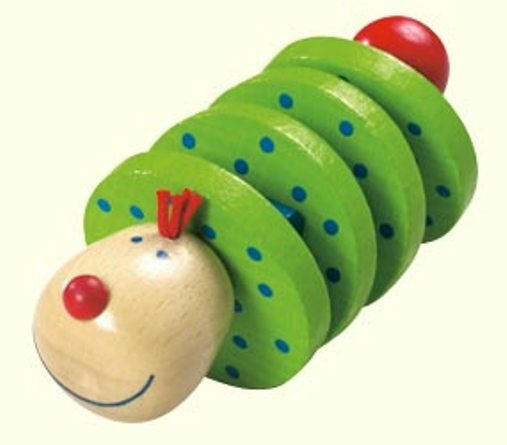 It’s made in Germany by HABA with many other options, including rattles, puzzles, and toys, all made from natural woods and bright colors. Fabrics are another great material choice to make eco-friendly toys. 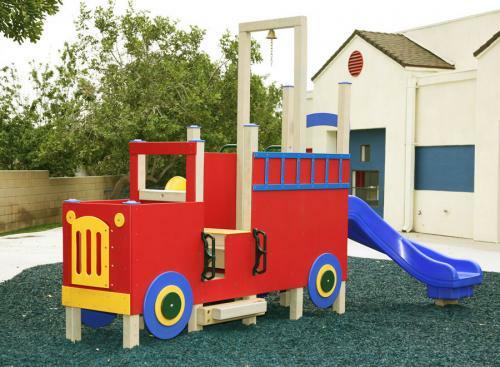 They add a soft, tactile aspect to your child’s playtime and are free from injury hazards, too! 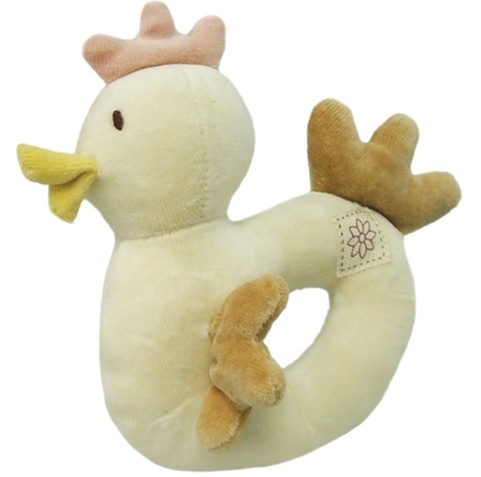 This Chicken Rattle is made from organic cotton and comes in four fun color combinations. 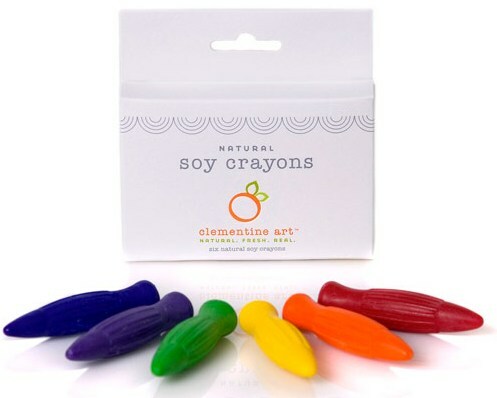 Get your kids crafting with healthier, green products such as these soy crayons. Most conventional crayons are made with petroleum, an inherently unsustainable product (since it’s non-renewable and comes with all kinds of environmental downsides, including ecosystem pollution and greenhouse gas emissions). These are made with kosher soy wax, Mayan mineral pigments, and are packaged in 100% recycled, post-consumer materials.